The first song, ‘Entanglements’ sounds like an entanglement of instruments weaving wonderfully through each other. Impressive guitar arpeggios and solos are complemented by ambient keyboards and intense drums. The middle section of the song calms down with a bright clean section that builds back up into some great solos before getting darker and heavier. Next up, ‘Obscurements’ starts with some bright guitar arpeggios. The song gets more complex as layers are added on with some keyboard and intricate drumming. Clocking in at exactly 10 minutes, this is the longest song on the album. Once the distortion comes on at 3 minutes in, the song begins to sound like traditional prog metal before it takes a 180 at the halfway point as some jazz saxophone by guest Ben Luria is introduced. The rest of the song continues this jazz fusion style as it cycles through different instruments and tones sounding both improvised and polished at the same time. The third song ‘The Hilarity of Singularity’ starts with a voice sample leading into some dirty sounding bass noodling backed by drums and a keyboard for accents. This is the shortest song on the album at 2:57. ‘The Acclimation of Sedation’ starts with some electronic keyboard synths which lead into some soothing guitar and bass jams. The subtleties on this song stand out as each instrument is given a chance to shine. The bass solo by guest Chase Bryant is incredible, as is the guitar solo by guest Mateus Asato. Of course this song is chock full of great solos so it’s hard to pick a favorite. ‘Limited Access to the One’ is another short song with some great crunchy guitar riffs. The guitar/bass harmonies are awesome. The softer section has some sweet arpeggios before it gets heavy again and builds up into the final track, ‘Unlimited Access to the None’. ‘Unlimited Access to the None’ starts out with some really cool strumming and a killer bass-line, sounding different than anything else on this album. Suddenly, a Joe Satriani inspired solo out of nowhere! The guitar, bass, and keyboard solos continue to shift into different tones and styles as this funky song concludes this amazing album. Deviations is a perfect instrumental prog album, with very impressive musicianship and production as well as a successful fusion of styles. I’m sorry to say that I haven’t had a chance to listen to their back catalog yet, but that is definitely on my list of things to do now. 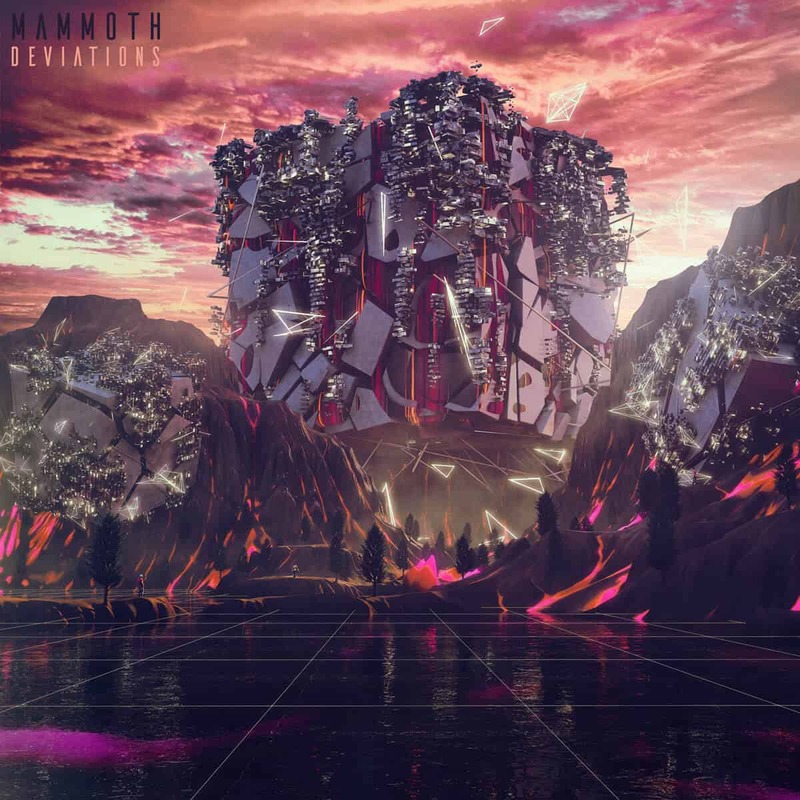 Mammoth prove their namesake as they are a mammoth of a band.